Contents: Text and supplements shipped to you. online multiple-choice test. Contents: Text, supplements and multiple-choice test shipped to you. 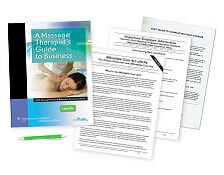 Already own the text A Massage Therapist's Guide to Business? Call us at 1-800-364-5722, 9am to 5pm, to discuss your enrollment options. Learn how to prepare a self-inventory, mission statement, realistic business plan and list practical career options in the field of massage therapy as well as understand basic business ethics that pertain to the profession. Describe the key concepts of starting a business, the legalities involved regarding business structure and start-up procedures as well as dealing with various types of insurance issues. Outline the necessary aspects of basic recordkeeping as it pertains to the business of massage therapy including keeping accurate financial records and SOAP notes as well as understand the importance of preparing a practical budget and setting prices for services. You will also identify how to work effectively as an employee, independent contractor or employer as well as understand policies and procedures for various business situations. Review key concepts and standards of professional behavior and effective communication as it pertains to the business of massage therapy, including social etiquette, professional responsibility, ethical behavior and effective communication with staff, clients and peers. Recognize key concepts of marketing, promoting and advertising a massage therapy practice. A great course for anyone considering starting a business, especially a massage therapist. It is, even more importantly, a great course for the therapist already in business to review and improve their existing business. I found it informative and useful. It opened my eyes to missed opportunities and directions I may want to explore. Thank you for such a motivating CE course. Information was very informative and easy to follow. 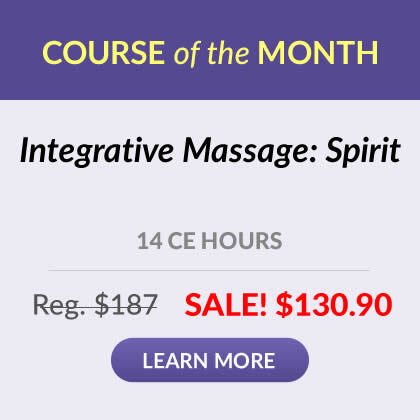 This course should be essential for anyone training to become a massage therapist. Whether self-employed or an employee, this textbook presents all you need to know about the business side of massage. I wish I had taken the course 15 years ago, before I became licensed; this material provides a solid foundation to build a successful practice. I thoroughly enjoyed this course, and all I learned will be helpful in running my business, especially the sections on promotions and advertising. 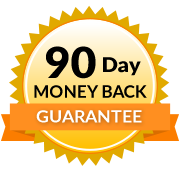 It's full of great ideas and marketing strategies useful for building up clientele to secure improved financial success. Great course. Been in business for quite some time and still learned a few things. I feel this course was great overall. I enjoyed the many examples throughout the course. I loved the My Personal Journey box at the end of each chapter. Also, loved the Postcards from the Highway. Many of the author's personal experiences were very helpful in Roadside Assistance. I feel that the author, Ms. Allen, put a lot of thought into each chapter that she wrote in this book. I thought the book was well organized and the presentation was nicely done. It was set up in a way to keep your interest. I started putting sticky tabs and writing notes to myself to return to specific pages in the future. Included in the book were a wide range of personal stories from other therapists, suggested readings in each chapter, an index, and a glossary. Informative course material and I very much enjoyed the content, however, this is not state specific and as such there are variances. Overall is a good eye opener for those setting out in the business of massage therapy. I should've taken this straight after graduation rather than wait for years afterwards. Thank you. This course was clear & concise.